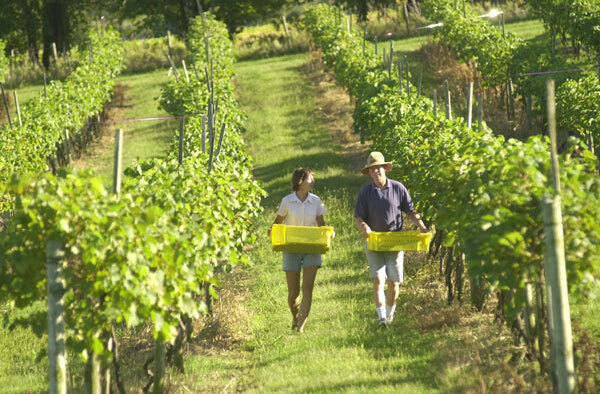 Our 5-acre vineyards were planted in 1989. Red varieties are Marechal Foch, St. Croix and Catawba. La Crosse is our primary white grape. The tasting room and unique wine gift shop overlook vineyards, the Civil War era barn and miles of Iowa’s Grant Wood countryside. Tabor Home emphasizes production of premium table wines from our vineyards and numerous small local vineyards that will establish a respected regional identity for Iowa wines. Our winery production increases annually and each year Tabor Home wines win gold medals and “Best of Class” international wine competition awards.